The holiday season is fast upon us, and while all I want for Christmahanukkahkwanzaamas is a big bottle of Ketel One, I understand that some people would like something a bit more special. 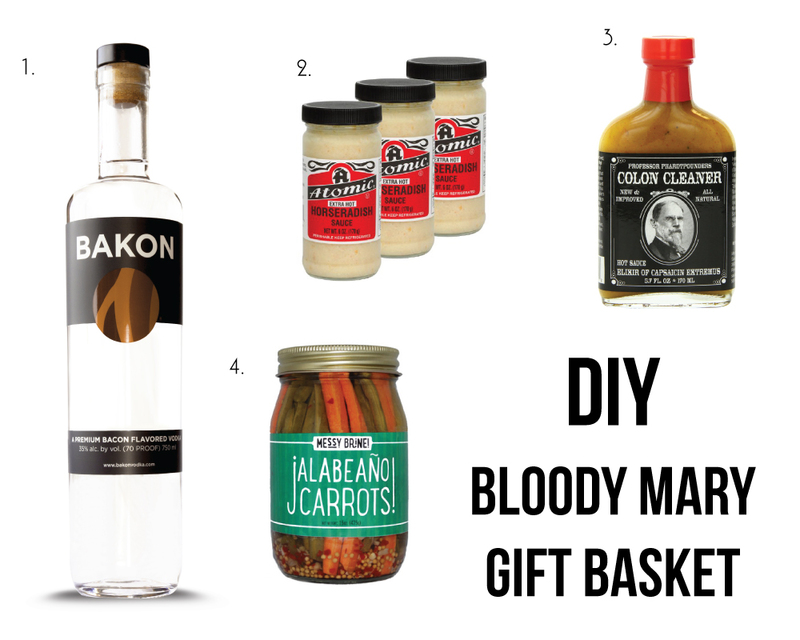 So if you need a gift for any of your fellow bloody mary enthusiasts out there, be sure to check out the bloody mary gift guide below. This variety pack contains four different bottles of bloody mary seasonings, and they're all damn good. I reviewed Demitri's Bloody Mary Seasonings over two years ago, and they remain one of the best bloody mary mixes on the market. 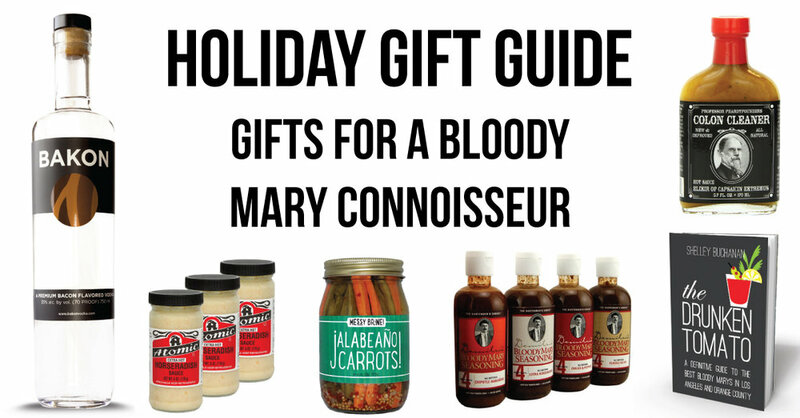 We've got all the holiday gifts you need for the bloody mary connoisseur in your life. If you're looking for the best bloody marys in Seattle or the best bloody marys in San Francisco, head over to Amazon to check out our definitive guide books. Also be sure to check out all our bloody mary swag, including t-shirts, brunch tanks, totes and bloody mary gift sets at The Drunken Tomato Shop! These bloody mary stickers make the perfect stocking stuffers. Just $3.49 gets super cute bloody mary stickers from the fine folks at Franny Lamb Stickers! It's the last minute... you've too busy drinking bloody marys. We understand. You're only option is the liquor store or... Amazon Prime. I can't help you at the liquor store, but I can tell you what would make this bloody mary connoisseur very happy. Demitri's Pepperoni Straws - Because, why would you use a regular straw when you could use a meat straw? !